Commercial Description:Limited release. Swimming in a fresh water pool at the base of a cascading waterfall is what we all imagine we would find in paradise. On Maui, follow the old Hana Highway and you will find such a place – Wailua Falls. This plunging cascade of clear water is the inspiration for our Limited Release Wailua Wheat. This golden, sun colored ale has a bright, citrusy flavor that comes from the tropical passion fruit we brew into each batch. Sit back, relax and enjoy paradise anytime. General Pricing:12oz bottle, ~ $8.50 6 pack, ~ $31.00 case. Background:I had to try this after having the Kona Fire Rock. I picked up a 6 pack at State Line Liquors last weekend. I had one right away and thought it was pretty good. I shared a few and actually use two bottles on the last ribs that I smoked. I guess I should explain that. I generally smoke ribs for about 5 hours they do start to dry out a little so for the last hour I wrap them in foil and add some liquid, usually some apple juice. This time the liquid was Kona Wailua. I was told by my better half that they were the best ribs that I have ever made, so take that for whatever its worth. And finally I kept this one to give a full review. 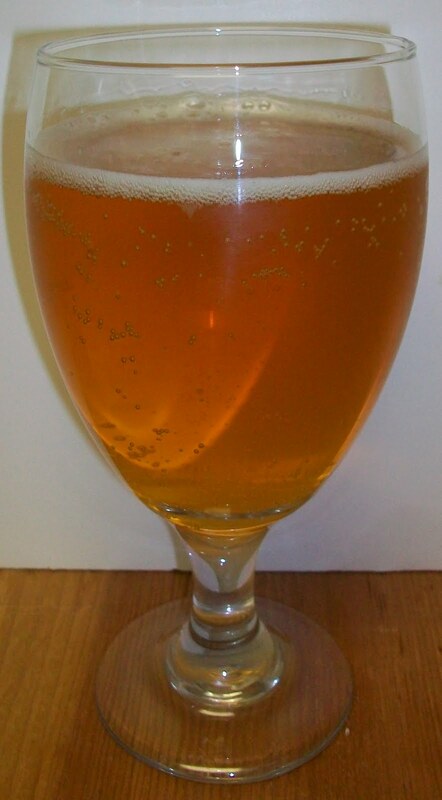 Review:The beer pours a clear pale golden straw with a diminishing bright white head. This is a refreshingly inviting nose. There are light malts, floral hops and a very interesting sweetness. I assume that the sweetness is from Passion Fruit. Sweet light malts upfront then a very pleasant effervescence at mid-sip. During the middle of the sip you also start to get some of the sweet fruity notes. The back-end is very easy to swallow. There is also a creaminess on the back and it’s here on the back-end that pleasant light hops start making their presence known. The finish is somewhat sweet but also fairly dry. Yes, this is a little contradictory. It is basically a dry finish but there is a unique fruity sweetness also. There is not much of a final aftertaste but there is a slight lingering fruit note. The first time I had this I was very confused by the fruit flavor. I have never had Passion Fruit so I did not know what that tastes like. The other confusing factor is that I kept expecting lemon citrus notes and I never got them. I normally do not like fruity summer beers but this one is very unique and very well crafted. It is really a nice refreshing summer ale. It is now at 62 degrees and still very nice. I don’t see this getting much warmer since it is so good and refreshing it’s not going to sit that long. This is good but it is getting a little to sweet for me as it warms. Don’t get me wrong, it’s not bad or offensive in any way, it’s just a little too sweet for my liking. All and all this is a very good summer wheat ale. I’m going to give this a B+. That may be a little high but this is a very unique and well crafted ale. I am now 3 for 3 on beers from Kona; Pipeline Porter , Fire Rock Pale Ale and now this refreshing Wailua Wheat brewed with Passion Fruit. I do highly recommend this beer to anyone that likes the Blue Moon Honey Moon or other Summer Wheat ales. Just don’t look for the typical lemon citrus notes like I did. 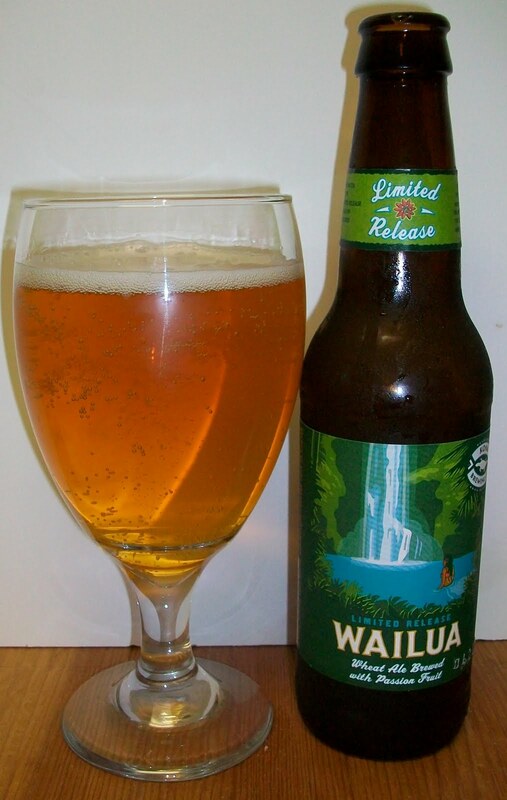 Just enjoy it for what it is a refreshing, easy drinking light summer ale.